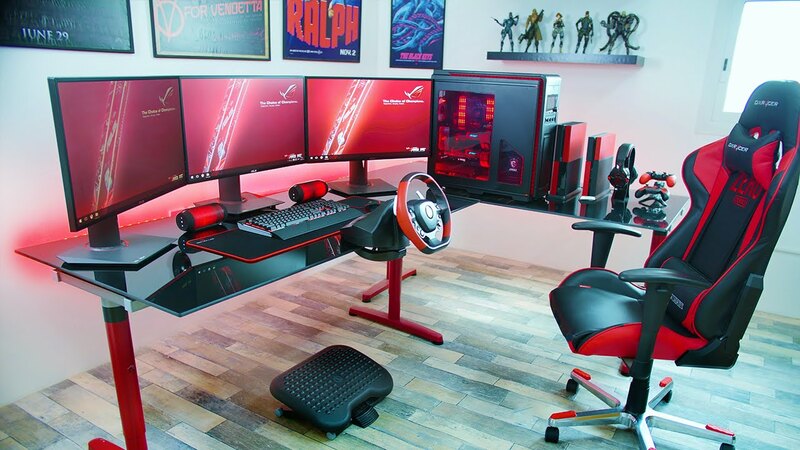 When many people game, they want to game hard. And there’s been a lot of buzz about upgrading gaming rigs as of late, especially with the changes in video game trends. Take a look at this guide and see if you could make any improvements to your gaming experience. Really, you should be going with whatever makes you happier to play. But whichever route you’re taking, you should make sure your hardware can take the most recent video games. While there are many people out there who have stuck with a PlayStation 3 or an Xbox 360, it might be time to upgrade. Publishers are releasing games for these platforms at a much slower rate. By next year, these consoles will be well on their way to being phased out. Consider looking at the upcoming PlayStation 4 Pro or the Xbox Scorpio. As for the PC, you want to make sure your hardware can still handle the increasing power demand of modern video games. Having said this, you might not be that into games that require all that power. You might prefer to stick with old-school games, or relatively undemanding indie games. The PC will allow you to do this with more ease than a console, for sure! But if you do want to keep up, make sure you work on some PC improvements. What’s worst than a great multiplayer game being ruined by lag? Well, okay, there are obviously much worse things out there. But this is definitely something that’s uniquely, acutely frustrating. Sometimes, it might be a problem with the game’s servers. It might be a problem with the connection of another play or even a host. But what if the problem is at your end? Powerful Internet speed is a must for modern gaming. And this no longer applies only to people who are into multiplayer gaming. These days, more and more games are being sold digitally. Additional game content, fixes, and other updates are also distributed via downloads. Sometimes you can’t even play the game you’ve bought on disc until you install an update that needs to be downloaded. Having the fastest broadband you can get is going to give your gaming setup a massive boost. Consider checking out some Verizon Fios deals if you’re interested. If the screen you’re using is small, or isn’t that high in definition, then you’re not going to experience the full power of modern gaming. Even games that don’t look that advances in the graphics department will look amazingly crisp on a high-fidelity screen. Most players have high-definition screens these days. To be fair, as long as the screen is HD, you don’t need it to be massive. Still, anything below 32” will definitely affect the vastness of the graphics. For many people, the real challenge is in understanding the difference between 1080i and 1080p. (Hint: 1080p is better!) You’ve also probably heard about the 4K craze recently. While the graphical capabilities of 4K are indeed stunning, the whole thing is still a bit too expensive. It might be worth leaving it for a year or two!